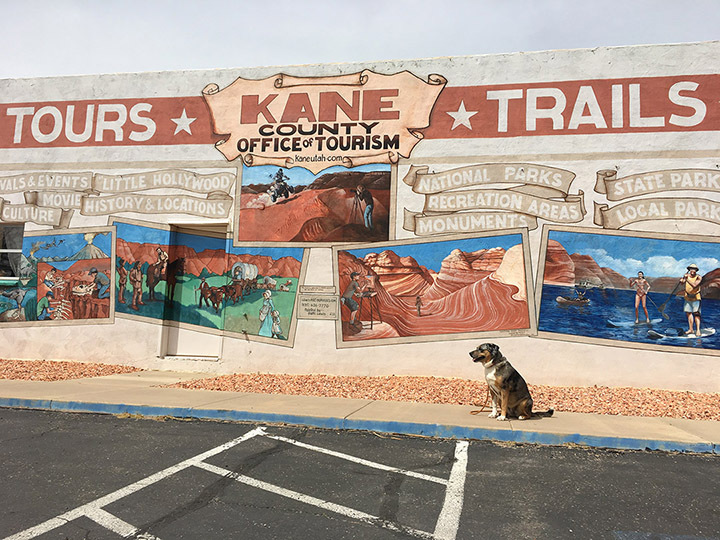 So what drew us to this small town in Soutwestern Utah? 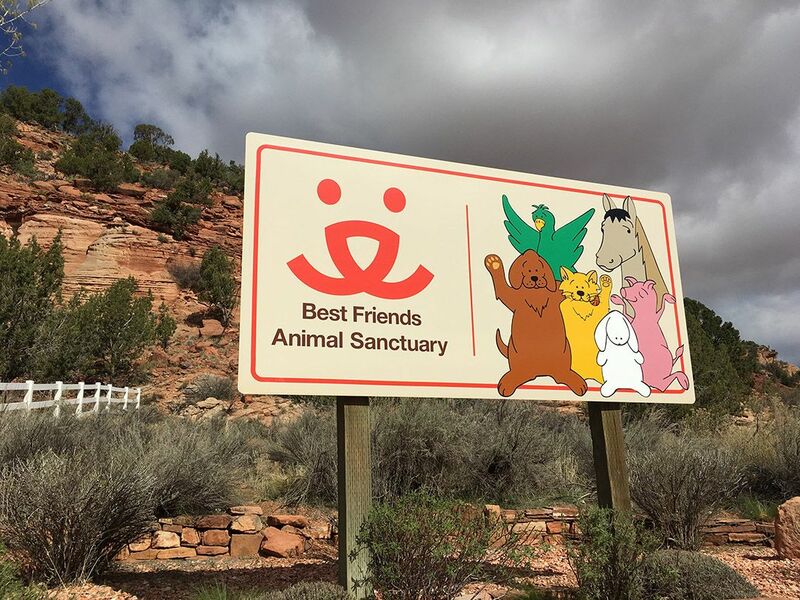 It's home to the largest No-Kill sanctuary for companion animals in the United States, Best Friends Animal Sanctuary! It’s been a dream of mine to come visit this special place and thanks to the flexibility of fulltime RVing, we were able to! 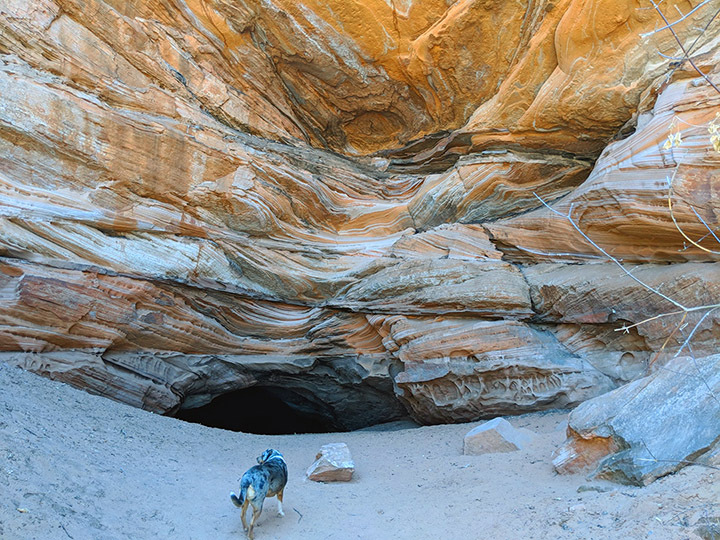 Best Friends is located 5 miles north of the town of Kanab, nestled in Angel Canyon. 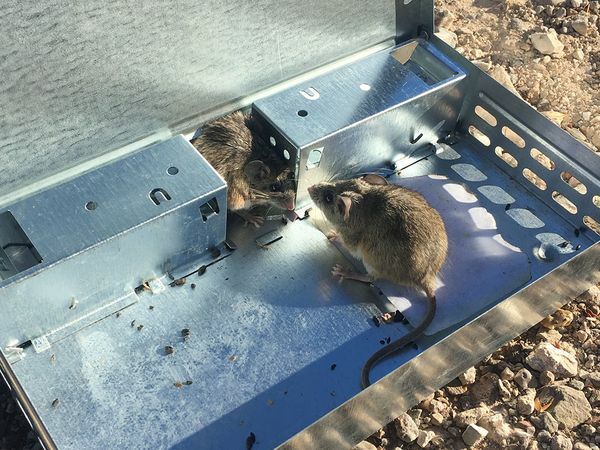 This 3,700 acre property is home to roughly 1,600 animals, including dogs, cats, birds, rabbits, horses, pigs, goats, mules, sheep, burros and wildlife. All of the animals are up for adoption, but if that doesn't happen they will live out the rest of their lives at the Sanctuary. 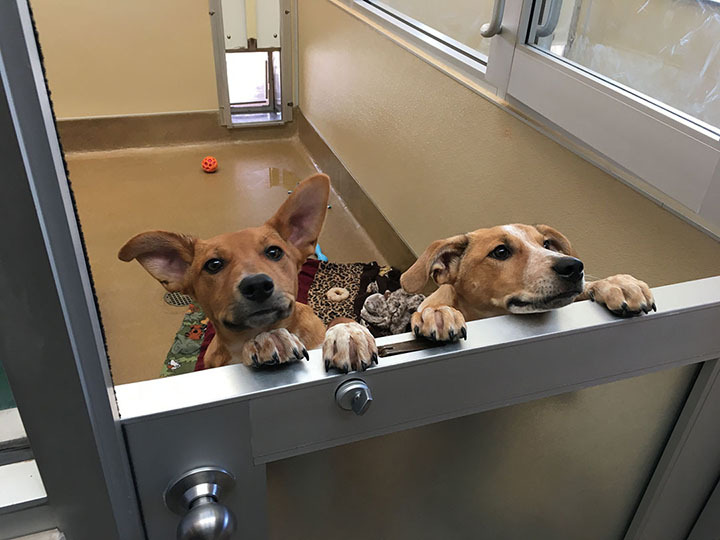 Best Friends has a goal to end euthanasia simply because an animal doesn't have a home, across all US shelters by 2025. As a huge advocate of adopting rescue animals, I believe we can #SaveThemAll and love the work that Best Friends is doing. 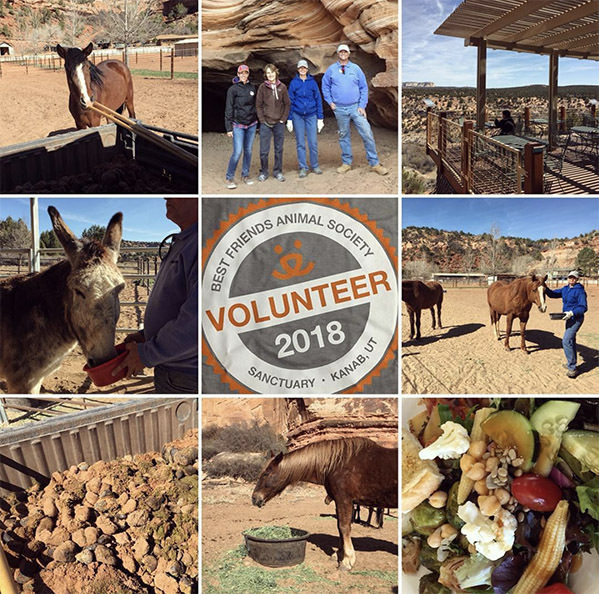 I have visited other animal sanctuaries and Best Friends, by far, is the most awe-inspiring. Hard to explain in words so I highly suggest you make the trip to see it for yourself! I didn't realize until we got here, how close Kanab is to Zion National Park! Just 26 miles from the eastern boundary of the park. Planning a trip to Zion? Add one day to your itinerary and visit Best Friends! Tours are FREE, 2 hours long, and offered throughout the day, every day except Christmas. There are different types of tours and you can reserve your space here. We did the Dogtown tour, which is focused on...well, dogs! Have more time? Volunteer! You'll need to sign up as far ahead of time as possible, because the shifts fill up. I signed up about a week in advance and had a choice of 3 different shifts, but as it gets closer to the busy summer season, that may not be the case. Same goes for lodging. They have cabins and two RV spaces for rent but you have to book early, which we didn't. All tours start with a short video and then a van ride around the sanctuary. We got out several times to visit different areas and learn more about the operation. Everyone's favorite stop was probably the Puppy Preschool. Here, the dogs are introduced to as many sights and sounds as possible, to make sure they have a smooth transition to their new homes. Make sure you stick around for lunch! Best Friends offers a $5 all you can eat, Vegetarian Buffet every day at the Village Cafe. 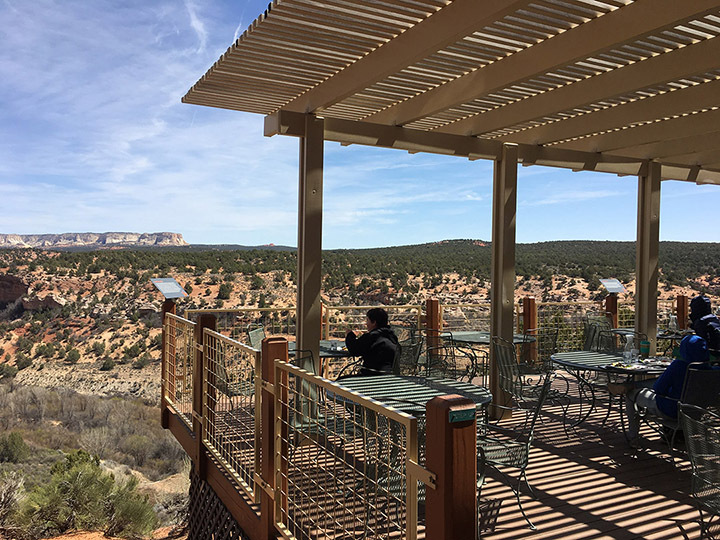 If it's a nice day, sit on the patio and enjoy the view of the Grand Staircase Escalante National Monument. While I was there, I chatted with a fellow RVer who drove all the way here from Maine! 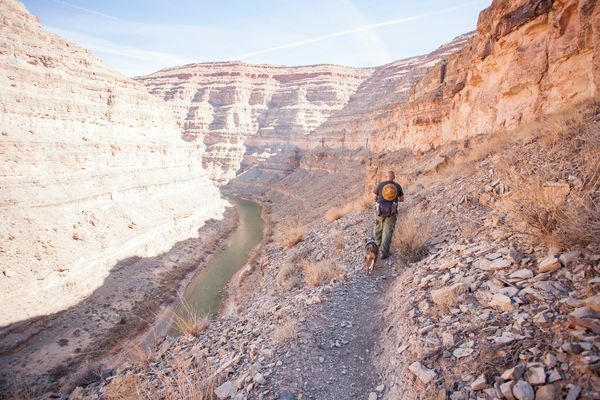 Best Friends property borders BLM land and there's a few great hikes to enjoy! We took the dogs to Hidden Lake. This cave is filled with water, and word has it that scuba divers went in the tunnels and didn't find the end! If you plan on visiting, bring a good flashlight with you. Please don't let your dog swim or drink from the lake - the water is stagnant. 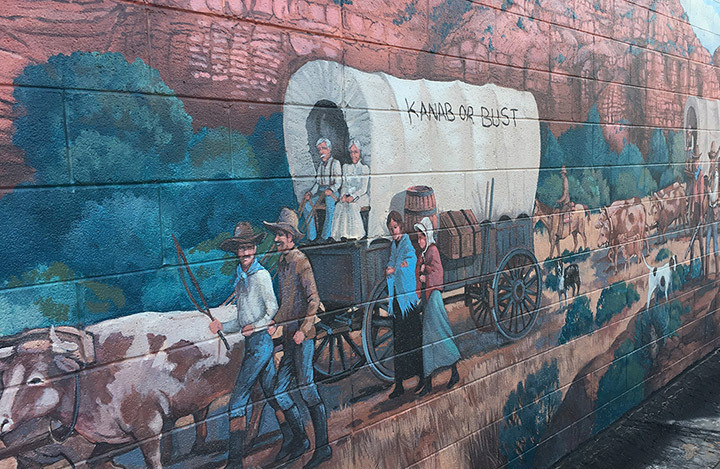 This is a storefront on the main street in Kanab. Stop in to schedule a tour at the sanctuary (instead of signing up online), buy some cool merch and take a photo with your pet! The Visitor Center in town has great one-page handouts on different hiking locations in and around Kanab. Lily pro-tip: They also have dog water and treats! There's all sorts of things to do at this city park but only one caught my eye! 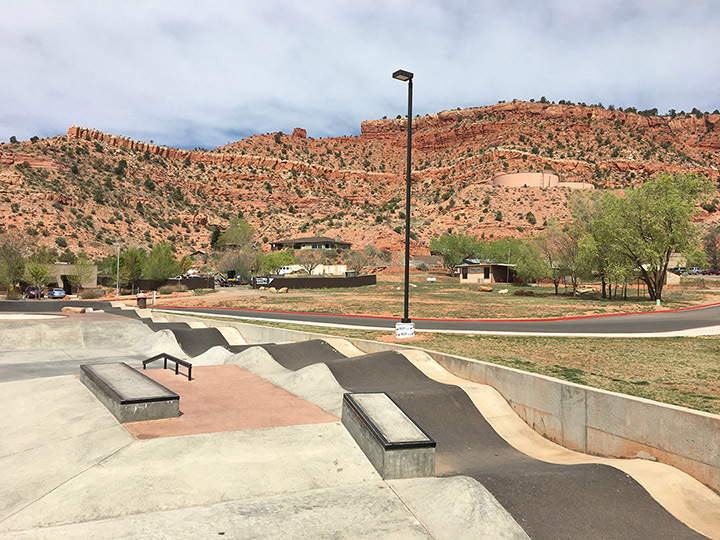 This free skatepark has a pumptrack! A must-do for any skater, bmxer, or rollerskater, like myself. 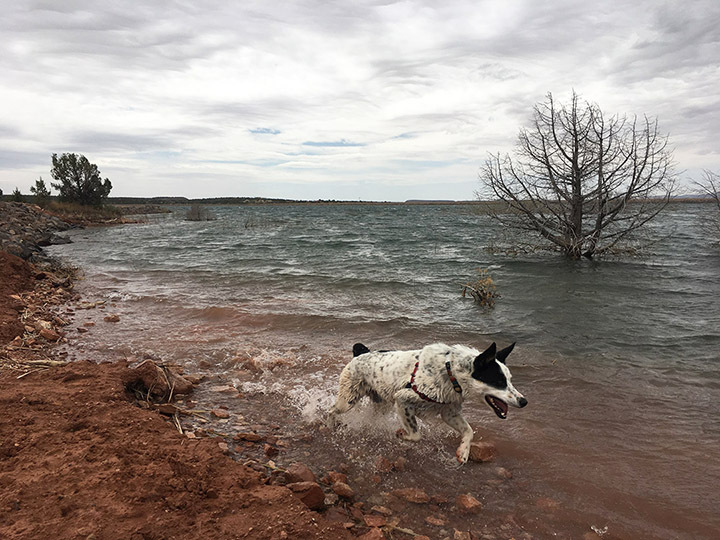 A dog-friendly reservoir that has a paved, 3 mile walking path around it. Mushy says dogs must be leashed, but we made an exception at the water's edge. Honey's Marketplace and Glazier's Market are similar markets, and the largest grocery stores you'll find in Kanab. Both offer a 15 cent fuel discount when you spend $50. 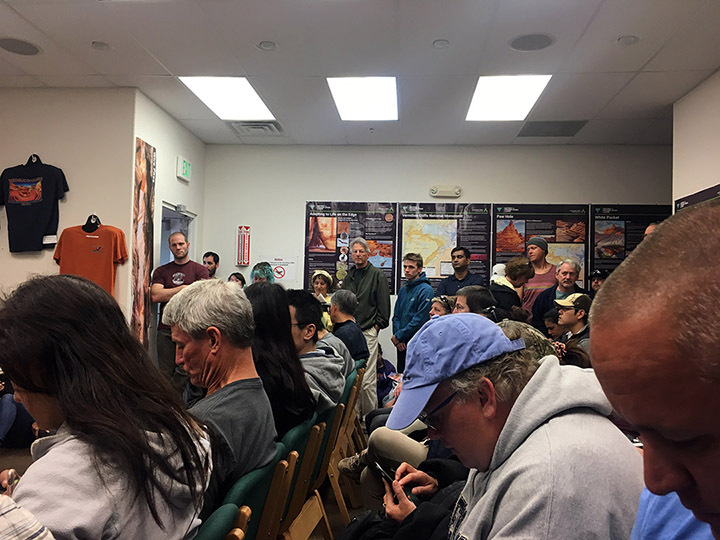 Kanab Natural Foods is small but amazing! I highly suggest stopping here for all your fresh fruits, veggies, and vegan & vegetarian specialty items before going to the larger stores. We stayed here for 6 nights while visiting Kanab. Walking distance to laundry and groceries, it was a great spot. $35/night +tax for full hookups. 5% discount for cash or check payment. Dog friendly. Very nice camphosts. We are currently boondocking in the area and loving it! Check back on an upcoming post for details.